At Island Endodontics, we offer our certified specialists in endodontics, Dr. Dan-Linh Ha and Dr. Ahmed Hieawy. We are dedicated to providing the best treatment for your specific dental needs. Our office utilizes electronic charts. This allows quicker and easier cooperation with your family dentist. Root canal treatment takes place deep inside teeth to remove diseased material in the nerve space. 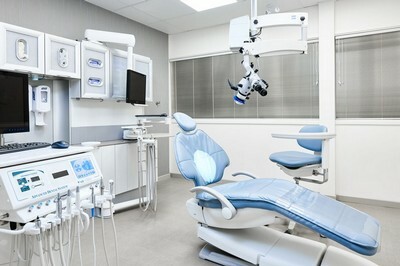 Because of the difficulty in diagnosing and treating infection in these tiny spaces, our office utilizes current technology and endodontic techniques. X-rays are an important diagnostic tool for endodontists, but the limitation of traditional x-rays is that the image is a two dimensional representation of a three dimensional object. The two dimensional image hides the fine detail of tooth anatomy and the surrounding bone that can be crucial to diagnosing difficult cases. 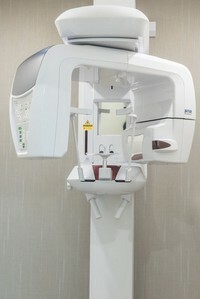 By providing a highly detailed three dimensional image, the cone beam CT allows for the dentist to accurately diagnose problems that would previously only have been detectible through invasive treatment procedures. The amount of exposure to radiation from the J Morita Veraviewepocs 3De, that we use in our office, emits far less radiation compared to a traditional medical CT scan. The small field of view focused on your tooth together with a digital x-ray plate allows the Veraviewepocs 3De to reduce x-ray exposure. Microdentistry, the incorporation of microscopic examination methods and microsurgical techniques in dental care, allows for the dentist to offer the innovative possibilities for diagnosis and therapy that today’s informed and critical patients demand. Optimum magnification permits the visualization of even the finest details in the tooth structure, which are simply not visible with the naked eye. This provides an unparalleled level of precision for endodontics. All of our operatories are equipped with Zeiss surgical operating microscopes. In keeping with our commitment to excellence and modern dentistry, our office uses an advanced endodontic filing system. This, in addition to our use of low radiation digital X-rays, makes coordination with your dentist much more efficient and detailed.